I was born with one hand/forearm. Yes I’m right handed, and no I don’t spend my time locked in a closet because of it. Basically, it’s the exact opposite. Being an amp has let me do so many things that normal people wouldn’t have the opportunity to do! I’ve gone on trips across the country skiing, camping, scuba diving, and cycling thanks to my “disability.” I wouldn’t change anything for the world. Competitive cycling took over my life in spring of ’05. 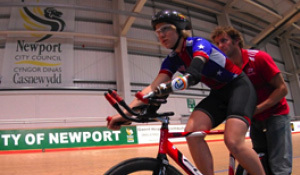 The next year I was named to the US Paralympic cycling team. 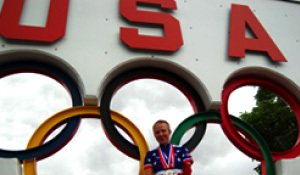 In 2007 I made the move to Colorado Springs, CO to live at the Olympic Training Center. This past September I competed in my first Paralympic Games, held in Beijing, China. 12 years of my life were spent playing soccer, and after 2/3 of my life spent doing the same thing, I figured it was time for a change. When I’m not on the bike I enjoy skiing/snowboarding, photography, wakeboarding, kayaking/canoing, hiking, driving and scuba diving. I’m a student at Pikes Peak Community College in Colorado Springs, planing to major in Recreation.